The characters in these ten stories are not people you’d want to meet. That is how well Wilson brings them to life. You’d probably not even want them in the neighborhood. That’s how real their sloppiness, hot tempers, and immaturity are portrayed. On the inside pages of a small-town newspaper is where you’d find three inches about the latest bad decision they made. 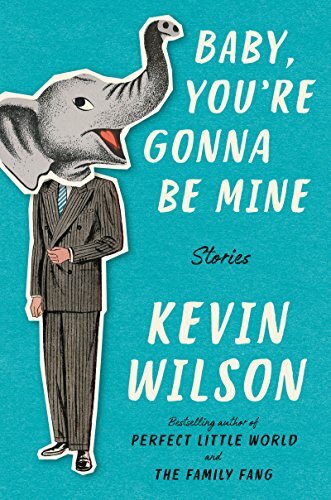 “It was almost midnight when my girlfriend got a call from her sister, who had been arrested for taking a kebab skewer at a cookout and stabbing her husband.” Wilson’s characters are full of life, even if they don’t know how to live it. So why read about them. Other than to know who to avoid? You are sucked in, entranced, and captivated by women, men, girls, and boys who find themselves in a bad situation of their own making: an ice cube fight, throat slashing, an altar boy and priest car trip, Halloween dress-up as your dead brother. For a third grade assignment on holidays, Greg wrote, “I am going to be my brother Sanders for Halloween. Even though he died and he isn’t here anymore, I think that he would really like this idea.” Then, there is a couple that arranges to have a stranger mind their baby while they go out to dinner. Less hope than the characters in Wilson’s first short story collection, Tunneling to the Center of the Earth. In these stories, they are younger, the situations more fantastical--substitute grandmothers, a circus act in which a man shoots himself in the head, a trio that tunnel underground. Perhaps it is because the characters are younger, and the situations unreal, the reader feels happiness, or some semblance of it, is possible. The writing is strong, the observations keen, and Wilson’s narrators have perfect pitch for their age, place, and education. Most of Wilson’s characters live in small towns in the middle south and his sense of the country grounds the characters, without making a fetish of the flora and fauna. Read Baby, and if you haven’t read Tunneling, read it, too.